The small hamlet of Okieville got its name from those who headed to California to escape the 1930s Dust Bowl. 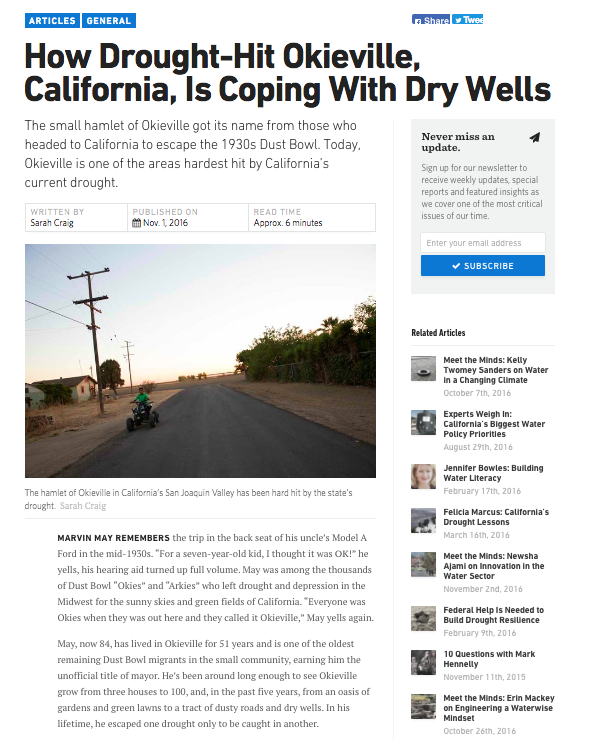 Today, Okieville is one of the areas hardest hit by California’s current drought. Read this story in Water Deeply to learn more about how the drought-hit Okieville is dealing with water shortages. This story is part of a long-term documentary titled Dreams of Dust.